There are at least two sides to any exchange. renga communications is actively working to bring together Lower True Cost businesses and the customers who are shopping for Lower True Cost solutions. One way to stimulate this exchange is our participation in the Shopulist Movement. We define Shopulism as the belief in the rights, wisdom, or virtues of the common people to make well-informed decisions about their purchases, and to exercise their purchasing power to protect their democratic rights, their economic rights and the planet on which they live. Communications campaigns — like the quiz below — not only increase awareness about the Shopulist movement, but are an excellent an opportunity for Lower True Cost businesses to connect with a a new and growing customer base. Well obviously you didn’t read the Hints. 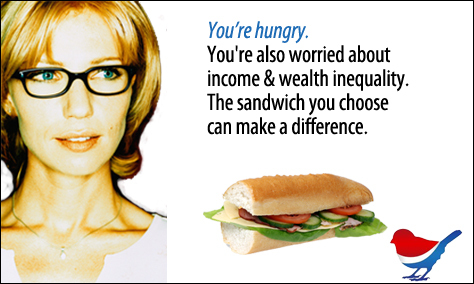 Or you’re just having a Big Mac attack. You’re almost part of the Shopulist movement. Joe’s has great salads and desserts too. Joe’s plans to open shops in your area. 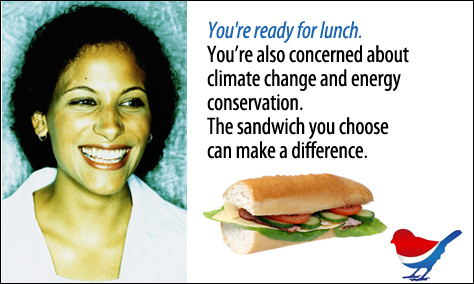 You’re exercising your power to change the world AND enjoying a great sandwich. You want a milkshake with that? Look for third-party endorsements. Ask the business for information you need to make a Lower True Cost decision. Demand full and accurate labeling. Let businesses know your buying decisions are based on Lower True Cost. Just compare price tags until you find the lowest price. Populism is defined by Webster as a belief in the rights, wisdom, or virtues of the common people. We define Shopulism as the belief in the rights, wisdom, or virtues of the common people to make well-informed decisions about their purchases, and to exercise their purchasing power to protect their democratic rights, their economic rights and to protect the planet on which they live. So what is Lower True Cost all about? It’s about the uncountable reasons we buy things, and the even more reasons we choose one product or service over another. The Lower True Cost Revolution tries to get citizens to consider the “true & total costs” of their purchases to themselves, their families and the rest of the world. 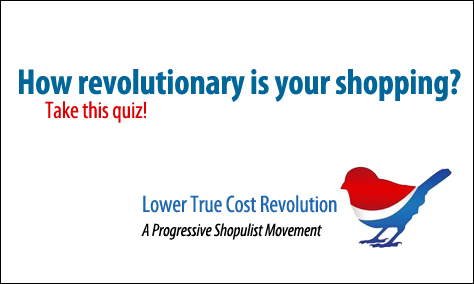 This is one of a series of “starter quizes” for the Lower True Cost Shopulist Movement. Their goal is to help you get in the habit of doing the research necessary to be well-informed about the consequences of your purchases. We hope you then use the information you gather to exercise your power to change the world via Lower True Cost Shopulism. Which is the “lower true cost choice” when it comes to economic justice? 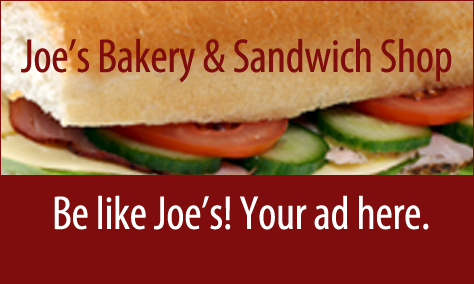 A sandwich combo from Joe's Bakery & Sandwich shop for $8. A Big Mac Value Meal for $6. Which is “lower true cost choice” when it comes to climate change? Should your brand advertise the fact that its a the Lower True Cost choice through a renga Lower True Cost Positioning campaign? 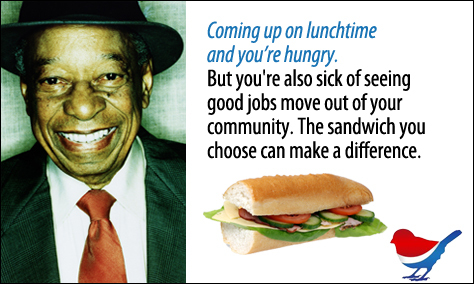 Which is “lower true cost choice” to keep jobs in your community? 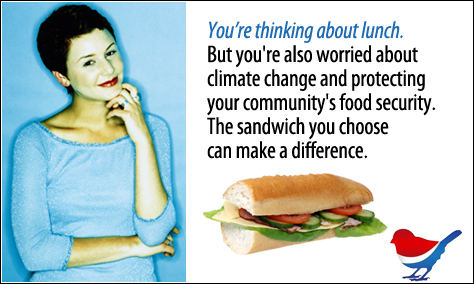 Which is the “lower true cost choice” for energy conservation? 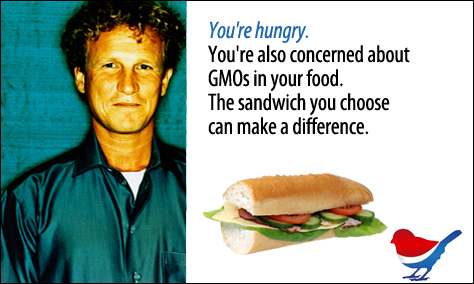 Which is the “lower true cost choice” for monitoring GMOs, pesticides & herbicides in your food? 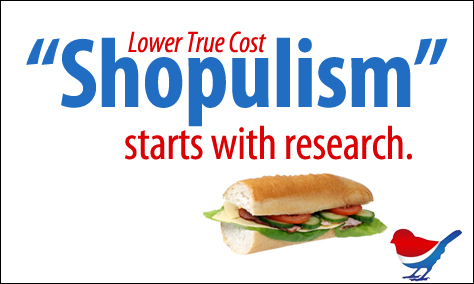 Use the form on this page to get more information about sponsorship of Shopulist campaigns.